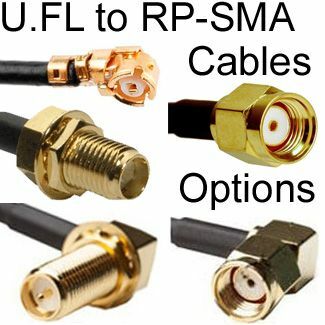 LMR-100-equivalent cable-type: Equivalent or better than LMR100A: Double-shielded, low-loss and very flexible/easily bendable coax with black jacket. 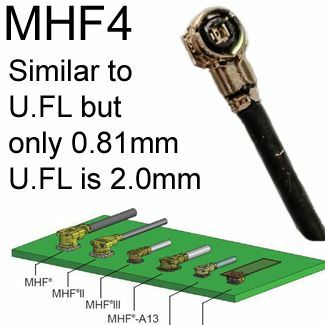 The double-shielding is a major factor in the higher quality of this cable, which translates into lower loss/better performance. Has the same or better signal-loss-per-meter and flexibility as LMR100A, and less attenuation (signal loss) than RG174 and RG178. 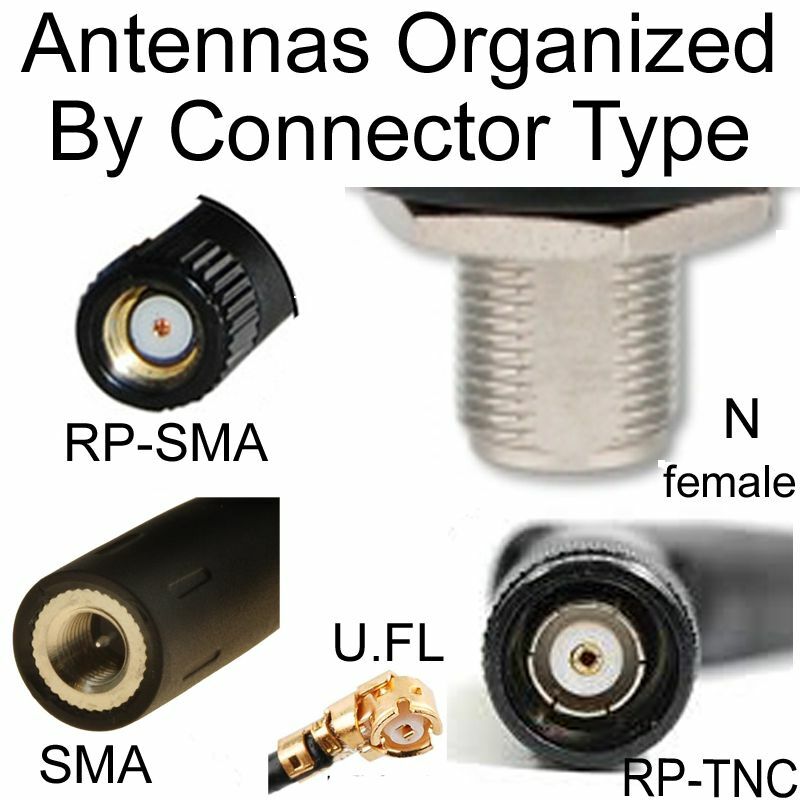 The higher quality of the cable of this antenna translates into lower loss/better performance. 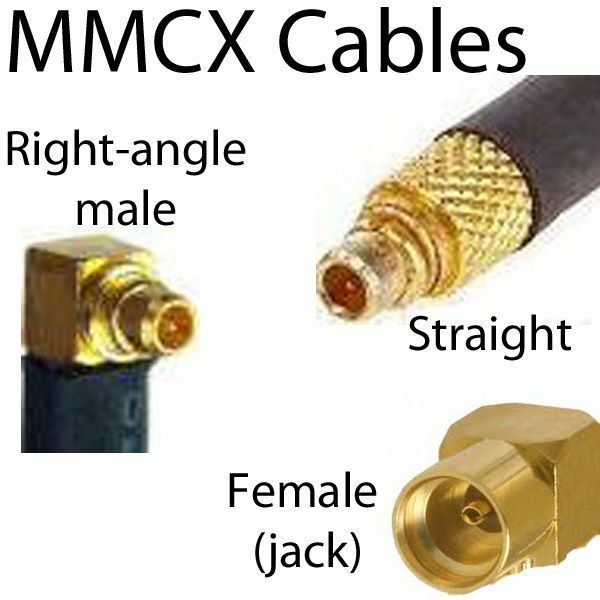 Cable is equivalent to LMR-100 in thickness. 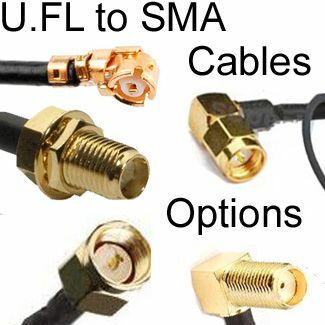 1.13mm mini-coaxial cable (50 Ohm): This is a very thin and flexible cable, with a black jacket. 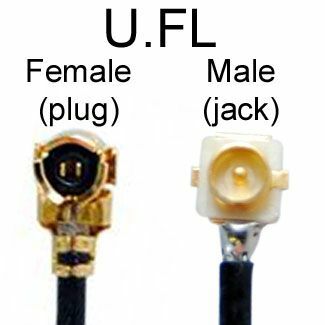 When connecting U.FL connector to a jack on a miniPCI card or board, sometimes the tight space requires the use of 1.13mm cable, because it is very thin and flexible: It is not always necessary to use 1.13mm cable, but on occasion it is necessary to use 1.13mm cable, to prevent the U.FL connector from popping off the U.FL jack. 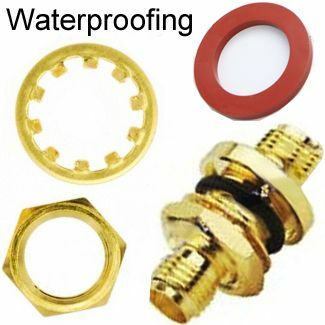 This antenna cable is suitable for wireless / WiFi and WiMax networks: 802.11N, AC, G, A, B. 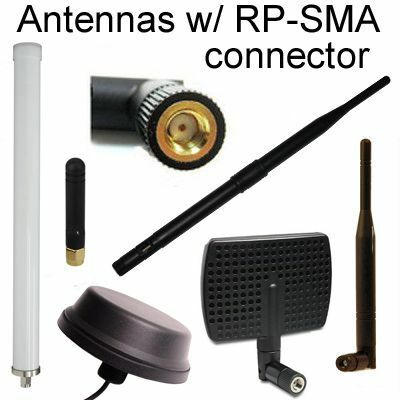 900MHz, 2.4GHz & 5GHz applications, as well as any other frequency between 0 and 18GHz. 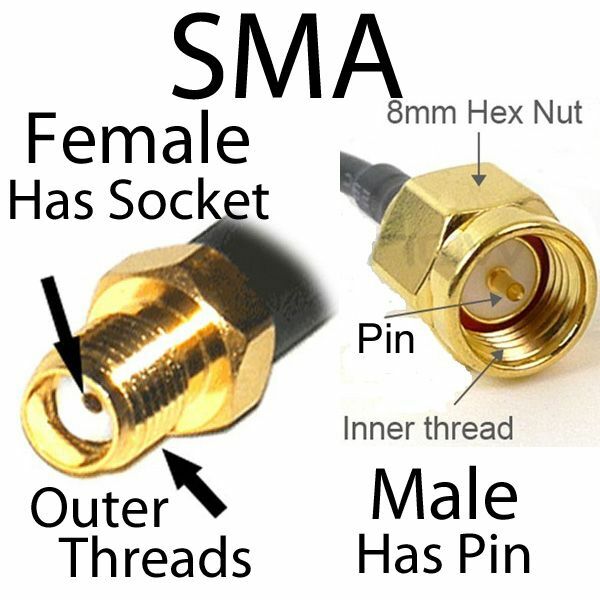 GENDER DETERMINATION: Gender of RP-SMA is counter-intuitive: Please observe picture & note it is correct. 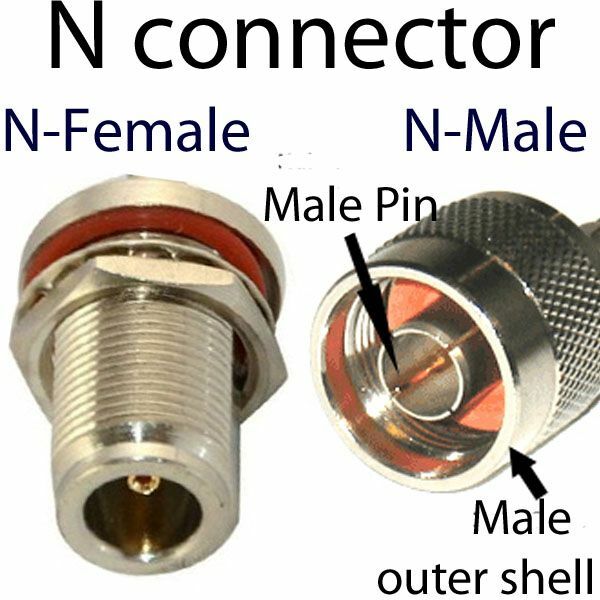 The gender is referring to the pins inside--not the threads. RP-SMA male has threads on inside. More details regarding SMA gender determination. Bought this to install into a Sony Playstation 4 to connect to an external antenna and boost Bluetooth range. Build quality of the cable is very good, but a bit stiffer than I would like for this application since it made it tricky to install. Working great so far.